I didn’t know about the difference between the two, not until three years ago. =D Anyway, I posted and emailed the exact thing to my friends moments ago. Our attempt at a “greeting card” and a “White Christmas” to boot! 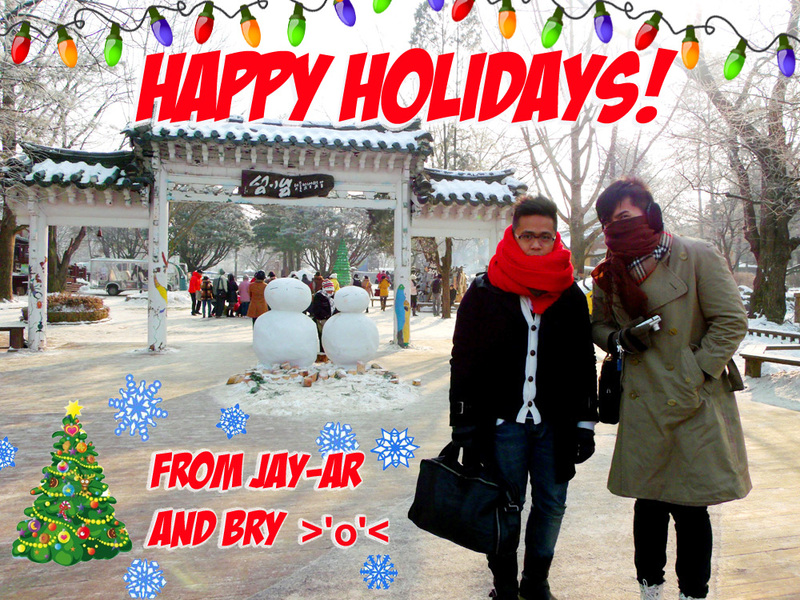 =D Nami Island was an amazing place for this, albeit it was extremely cold and we had to cover our faces and ears! It is currently 9:17 PM here in Manila (well, it’s already 25 in New Zealand anyway) but regardless, I still wanted to say HAPPY HOLIDAYS EVERYONE!